Get full information about appearing of the new fashion trends: how and from where to take the Information - what styles, colors and materials will be on sale in a year in all large boutiques. 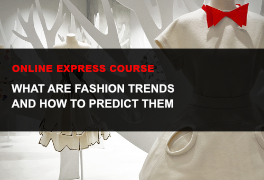 Study how to predict fashion trends in 2-3 seasons in front. The success of the idea realisation depends on your creativeness and detailed approach. 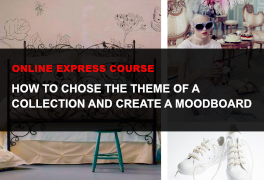 - This express course will give you the Information about a MoodBoard – how to make it and where to take the inspiration for performing a successful collection. 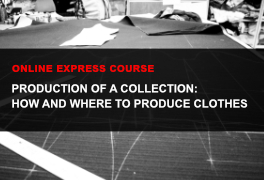 You will learn all possible ways of fabrics purchase in the world of fashion for today — at special exhibitions, in the markets, stocks, in China, Europe. 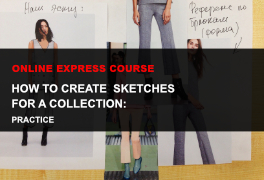 You will learn how to create sketches even if you draw not really well, do not know how to use the Photoshop or were never engaged in clothes design before at all. 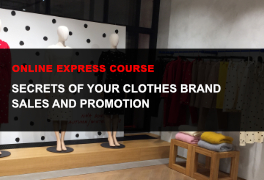 Get a lot of practical information how to launch and promote your fashion brand even if you never worked in marketing of fashion management before. How to create labels, why we need hashtags, is it worth selling in Instagram, how to work with showrooms and other important questions. 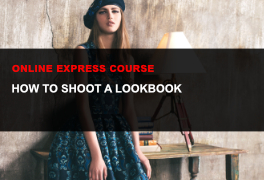 You may spend 3 000 EUR and get a lookbook that will give a bad PR to your fashion brand, but taking this express course you will learn how to create beautiful and absolutely free lookbook for your collection. 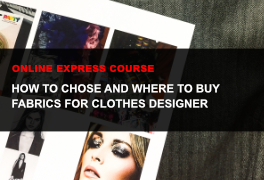 Many people dream to become the famous fashion designers. The first step to become popular in your city is to organize a fashion show. 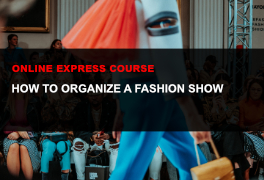 In this express course you will get the secrets of performing of the successful fashion shows that are used by all the most known European brands. All the lessons are based on the practice — not just a theory, but the maximum of information about performing of the real fashion shows. 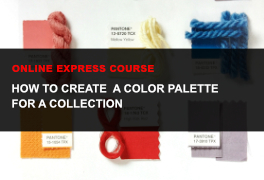 Get the most detailed instruction on how to select color palette for any collection! 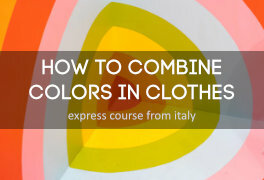 You will know how to select color palette of your clothes correctly, how to define and choose trendy colors, how to achieve the unity of a collection by means of color.